In keeping with the tradition of Orange County’s “neighbors helping neighbors” philosophy, Mayor Teresa Jacobs invites the community to bring a smile to the faces of children in Orange County who may not have a single present to open this holiday season. Mayor Jacobs announced the launch of her fourth annual Holiday Heroes Toy Drive at the Orange County Board of County Commissioners meeting on Tuesday afternoon. Orange County citizens and employees will unite to help struggling families during the season of giving. Last year, the community collected more than 3,850 toys for area children and more than 2,600 were generously donated in 2012. Orange County hopes to exceed past collections to help as many deserving children as possible. Donations will be provided to local families and children in need through the Orange County Neighborhood Centers for Families, Orange County Public Schools’ homeless program, the Community Food and Outreach Center, Wraparound Orange and the Marine Toys for Tots Foundation in Orlando. 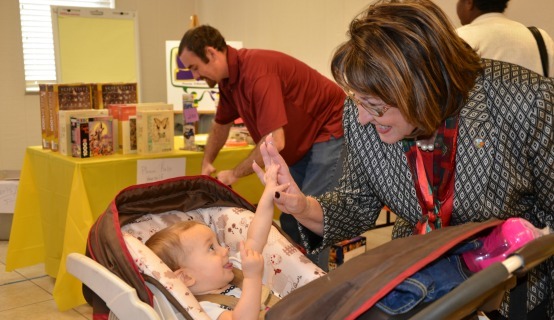 Mayor Teresa Jacobs’ Holiday Heroes Toy Drive begins Nov. 11 and ends Dec. 8, 2014. Suggested donations include basketballs, soccer balls, model cars, trucks, sporting equipment, craft kits, junior board games, dolls, Barbie sets, LEGOs, Tonka toys, action figures and sets, skateboards, helmets and tea sets. Mayor Jacobs will flip the switch to light up the heart of downtown Orlando with popular regional mascots and special princesses from blockbuster animated films. At this free and festive holiday celebration, guests will enjoy musical performances from Clare and the Chocolate Nutcracker, Faith Assembly Church Choir, the Grand Avenue Elementary School Choir and the Hillcrest Elementary School Choir. FOX 35 is the official media partner and some of their well-known TV personalities will be at the event. Florida Dairy Farmers have also generously donated milk cartons for milk and cookies for the children. Photos opportunities with Santa Claus, holiday-themed crafts and more family fun will be available at the event.